With all school supplies on sale right now for the back to school season, why not pick up a couple of extra plastic storage, or shower caddies. They may be marketed to house pencils, pens and other homework necessities, but the humble plastic caddy can be a whole lot more to help keep your life organized. Choose either a plastic pencil caddy, or a shower caddy to follow these budget friendly hacks. 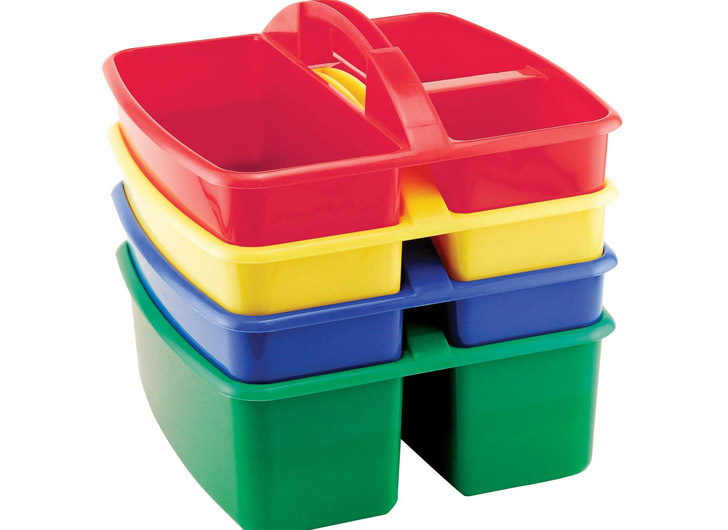 #thingsthatmaketeachershappy LOVING my table caddies this year! No crayons or pencils allowed  #youliveandyoulearn Also! Completely obsessed with how perfectly the crystal light containers fit in here!!!  I knew I was saving these for something, I just didn’t know what! 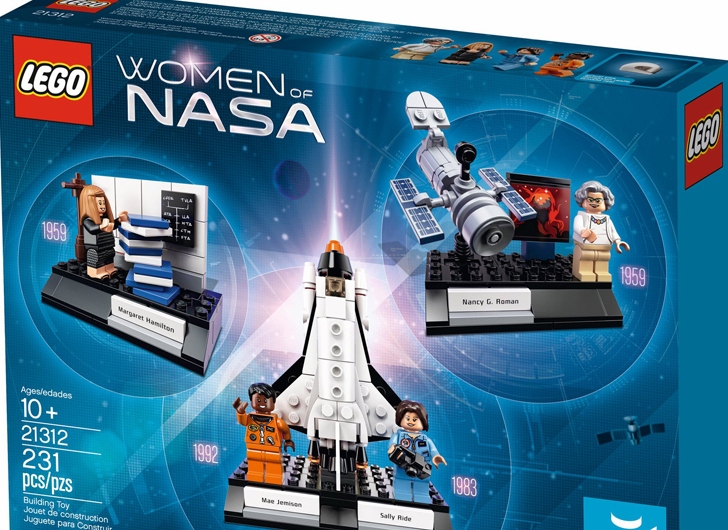 Turns out they were pretty much made to fit an 8-pack of markers. Now each kid has their own container labeled with their class number. No more flimsy boxes that bust open! 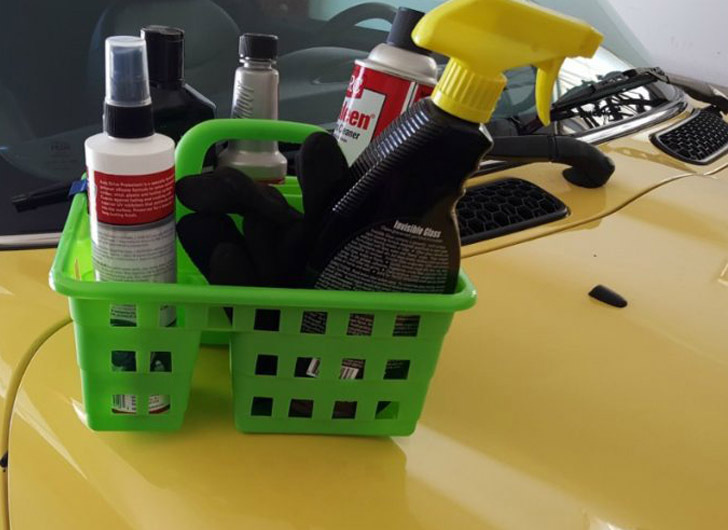 Keep car cleaning supplies corralled in a plastic caddy to make car cleaning a breeze. 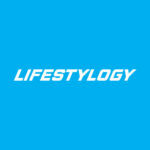 What’s a family movie night without popcorn, snacks and a drink! 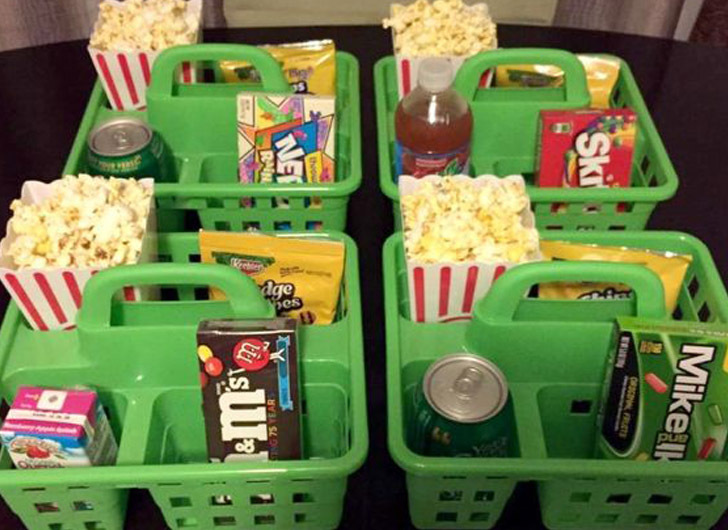 Make family movie nights fun by providing each family member with their own plastic caddy. Place a drink, candy and popcorn holder in each section for an easy, mess-free movie experience. With our busy back to school schedules, most parents at some point during the week find themselves hitting the drive-thru. 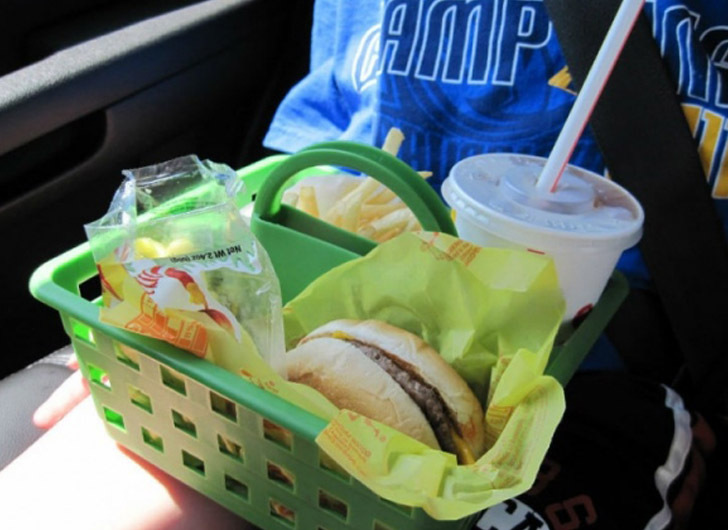 Instead of handing each kid their burger, fries and drink separately – where invariably messes end up on the seats and floor of your car – place everyone’s order into a plastic caddy. Kids can balance it on their knees, whilst keeping messes contained in the caddy. This method also works great for road trips. 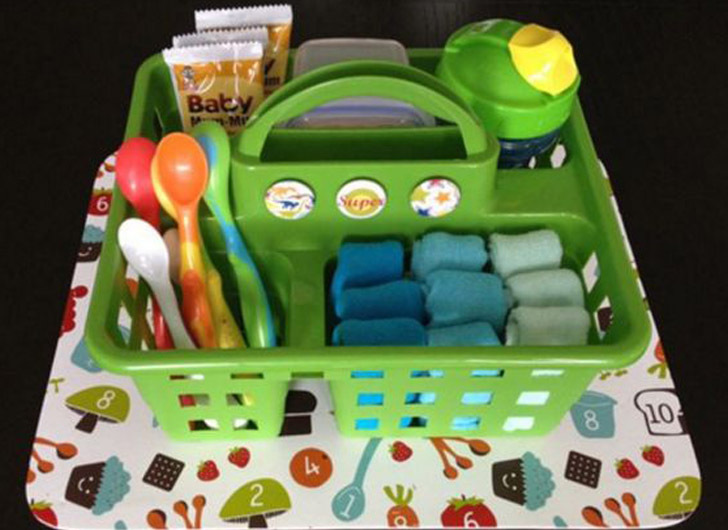 Feeding baby can include a whole lot of mess, so keep a plastic caddy loaded with things you will need to make feeding your tot easy and organized. From plastic spoons, to bibs, burp cloths, wipes and jarred food, a plastic caddy can also be prepared in advance so that grandparents and other babysitters are prepared for feeding time. 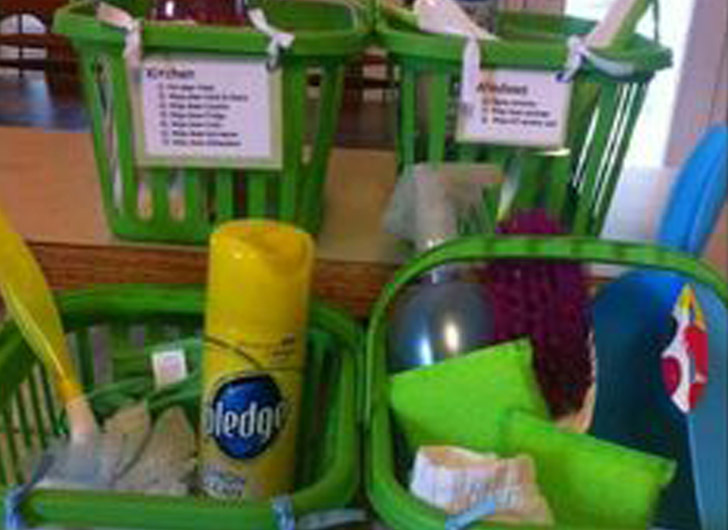 Pick up a few plastic caddies and create cleaning supply holders organized by task. 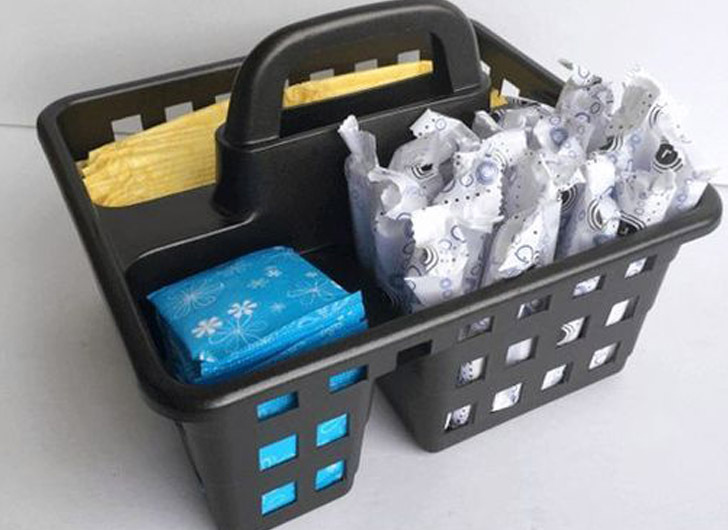 Use one caddy for bathroom cleaning, one for dusting and one for the kitchen etc. 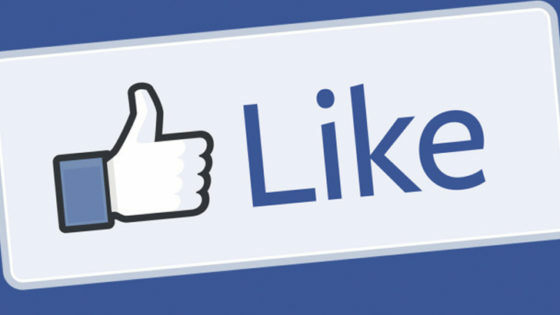 Heading out on a road trip with bored kids? Give each child a plastic caddy and fill it with toys, books and games to keep little minds preoccupied. 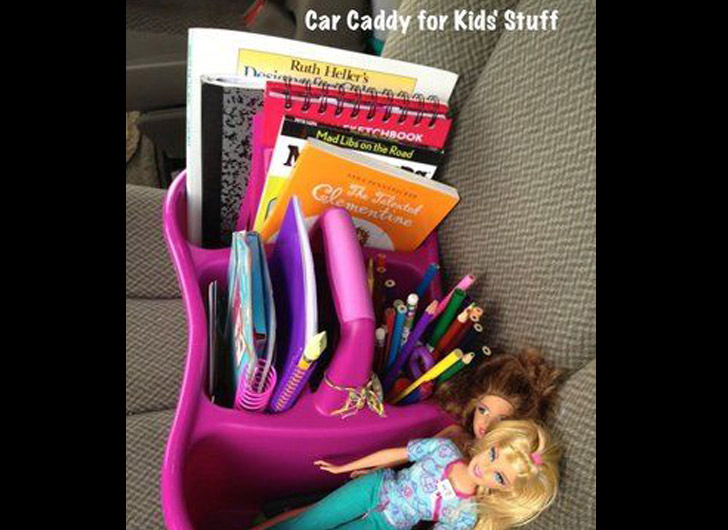 Older kids can also use a plastic caddy to keep their electronic devices and cords organized for long car rides. 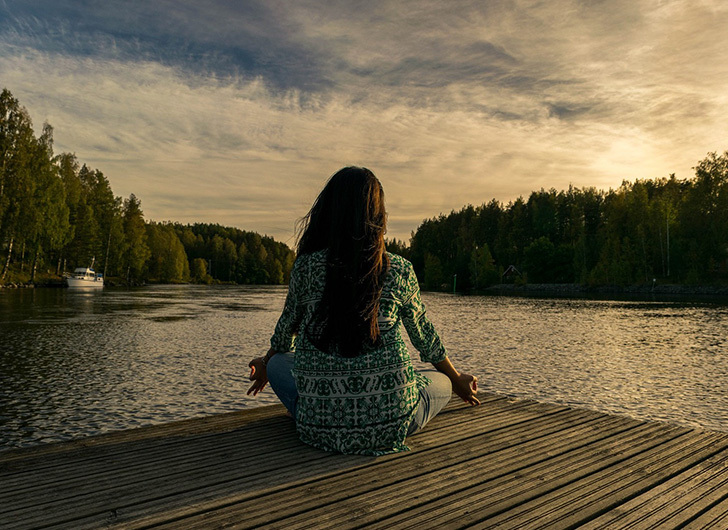 Store feminine products neatly so that each month you can whip out your caddy and see what supplies you are running low on before disaster strikes!